Volatile, gifted, non-serious and quirky are all words to describe Emmnauel Adebayor. One of the most gifted players playing today, Adebayor is also a name which has been involved in a scandal or two owing to his exuberant personality which often doesn’t go down well with other players. This has also resulted in Adebayor being suspended from not only matches but clubs as well. Many fear this trait often holds him back from becoming the magnificent player he can be. The former Arsenal, Manchester City and Tottenham Spurs striker now plays for the Turkish League with the club Basaksehir. Basaksehir is Adebayor’s first non-English permanent club since he left Monaco for Arsenal back in 2006. Born as Sheyi Emmanuel Adebayor in 1984 in Lome, Togo to parents of Yoruba ethnicity. 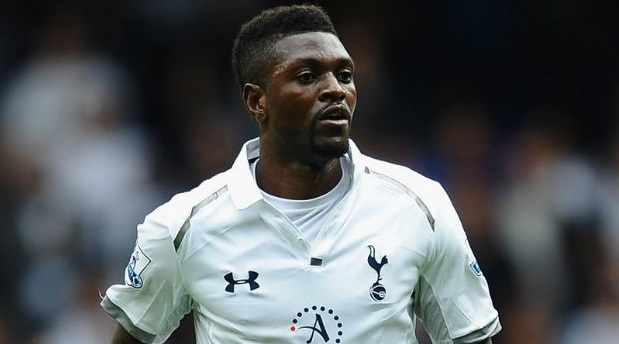 Adebayor overcame a life threatening disease which made it unable for him to walk the first four years of his life. This incident instilled a strong sense of faith in him especially now since he is healthy and fit and able to play the game which he loves. A young Adebayor started attending a local sporting club for youngsters where he was eventually spotted be scouts for the French side Metz. Adebayor came to France in 1999 where he played for Metz and scored 13 goals in 34 league matches. He eventually left France for Monaco in 2003. Adebayor’s career has mostly seen him move in between Africa and Europe before settling in on Turkey. Most of his career was spend at Tottenham from in between 2011 to 2016. He amassed a total of 43 goals in the 128 games he played for the Spurs. Adebayor’s most prolific time was that at Arsenal, from 2007-2008 in a span of one year only Adebayor scored 30 goals. Adebayor eventually left Arsenal for Manchester City in 2009; over there he had mixed fortunes scoring goals only sporadically and was involved in a violent altercation which resulted in a four match ban. From Manchester City he was loaned to Real Madrid, and then returned briefly to Tottenham before joining the Premier League side Crystal Palace in 2016. In terms of nation representation Adebayor represented the Togo national side in the 2006 FIFA World Cup which was his country’s only appearance in the World Cup so far. He remains Togo’s all time top goal scorer with 31 goals. On a while Adebayor has scored 31 goals in 75 appearances for Togo. Adebayor played an instrumental role in enabling Togo to qualify for the 2006 African Cup of Nations but the team couldn’t go that far in the tournament – mostly because Adebayor himself was absent from the tournament due to his disagreement with the coach. Adebayor has been named as the African Footballer of the Year in 2008. He was also BBC’s African Footballer of the Year in 2007. He scored BBC’s Goal of the Season in 2007-2008 and he was part of the Premier League PFA Team of the Year in 2007.